Clinical Asst. / Educ. Station / Legal Part. Genuine Lexmark X644A11A Black, Return Program, toner cartridge for the Lexmark X642E/ X644E/ X646E printers. 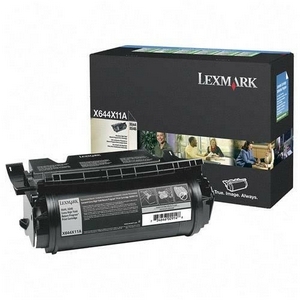 Genuine Lexmark X644A21A Black toner cartridge for the Lexmark X642E/ X644E/ X646E printers. Genuine Lexmark X644A01A Black, High Yield, Return Program, Labels toner cartridge for the Lexmark X644E/ X646E printers. Genuine Lexmark X644G11A Black, High Yield, Return Program, toner cartridge for the Lexmark X642E/ X644E/ X646E printers. Genuine Lexmark X644X11A Black, Extra High Yield, Return Program, toner cartridge for the Lexmark X644E/ X646E printers.